Pathlab is proud of our extensive experience in providing quality laboratory services that support clinical trials for pharmaceutical and biotechnology companies and university departments. We have worked regularly with research teams and clinicians throughout New Zealand in both national and international trials on a wide range of medical conditions. We offer professional sample collection options and pathology testing to support studies, trials and research programmes. 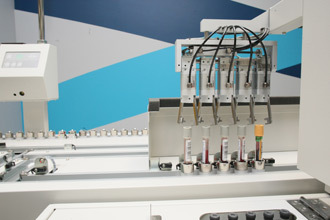 We can advise on and aid with sample collection and preparation and any testing requirements.